I always look forward to Sundays so I can go through the parties added to our site over the week, and pick out some of my favorites. It's like a big dose of eye candy! 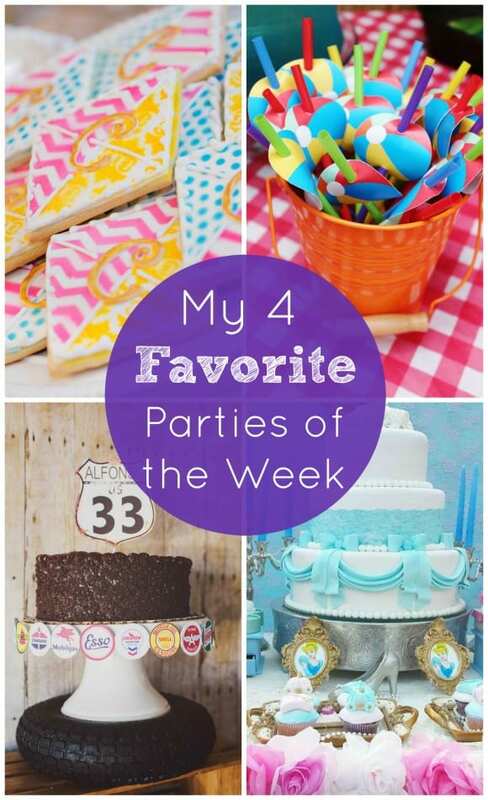 My favorites this week include an incredibly gorgeous Cinderella party, a pretty pink and yellow kite girl birthday party, a colorful and fun beach ball summer birthday party, and a grown up vintage garage party with vintage cars and trucks! For anyone who has added a party to our site, I want you to know that your party gets viewed by my assistant, Michelle, and myself, usually twice. If you're interested to learn more about what I look for in featuring parties, check out my blog post, Tips For Getting Your Party Featured on Catch My Party, and if you ever have any questions, please email me at jillian(at)catchmyparty(dot)com. I love hearing from you!